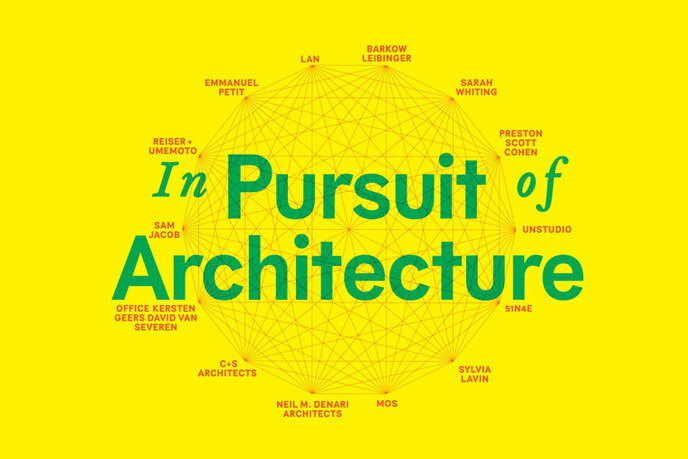 In Pursuit of Architecture conference invitation, 2013. Courtesy of Anyone Corporation. 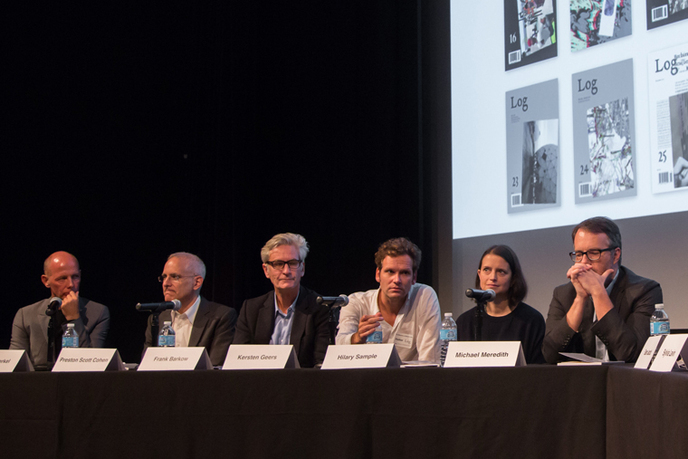 To expand critical dialogue, Log presents In Pursuit of Architecture, a daylong conference at the Museum of Modern Art in New York. 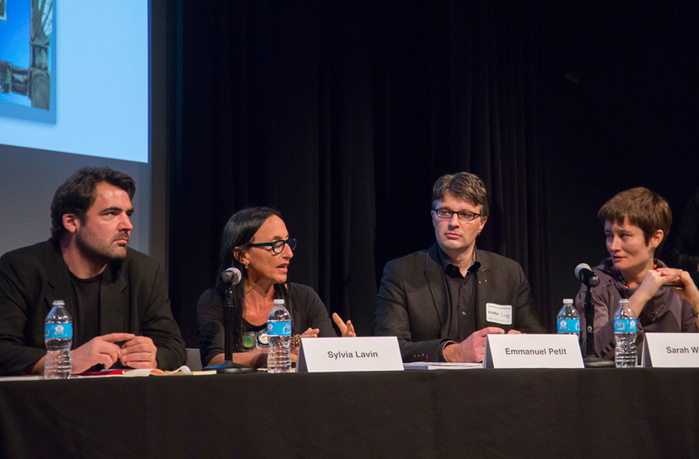 Four critics and ten architects discuss the challenges of developing and sustaining architectural ideas in a time of economic crisis and growing environmental concerns, illustrating these concepts with buildings constructed between 2003 and 2013. The participants include: 51N4E (Brussels), Barkow Leibinger (Berlin), C+S architects (Treviso), LAN (Paris), MOS (New York), Neil M. Denari Architects (Los Angeles), OFFICE Kersten Geers David Van Severen (Brussels), Preston Scott Cohen (Cambridge), Reiser + Umemoto (New York), and UNStudio (Amsterdam), with critics Sam Jacob (London), Sylvia Lavin (Los Angeles), Emmanuel Petit (New Haven), and Sarah Whiting (Houston). The conference, which takes place on September 21, 2013, is free and open to the public. The event will be recorded and videos of the roundtables will subsequently be available online at Vimeo. Two reviews of the event, by Peggy Deamer and Pia Ednie-Brown, appear in Log 30. 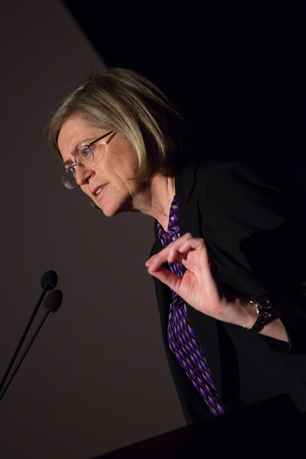 Cynthia Davidson, director of the Anyone Corporation and editor of Log, has organized more than twenty international conferences on architecture since cofounding the Anyone project in late 1990. These conferences have resulted in the publication of books and issues of magazines, in particular ANY and Log, which have expanded audiences far beyond the immediate time and place of each event. Davidson’s thirty years in architecture publishing and international knowledge of architecture today informs her selection of the ten built projects made by the participating architects of In Pursuit of Architecture. She has edited three architecture magazines, including Inland Architect (Chicago), and more than forty books, including twenty in the Writing Architecture series that the Anyone Corporation publishes with MIT Press. Sam Jacob, a principal of the London firm FAT, is an architect, teacher, and writer engaged with contemporary architecture criticism through multiple journals, including San Rocco, Domus, and Log. FAT's Museum of Copying, a collaborative project, was shown at the 2012 Venice Architecture Biennale. 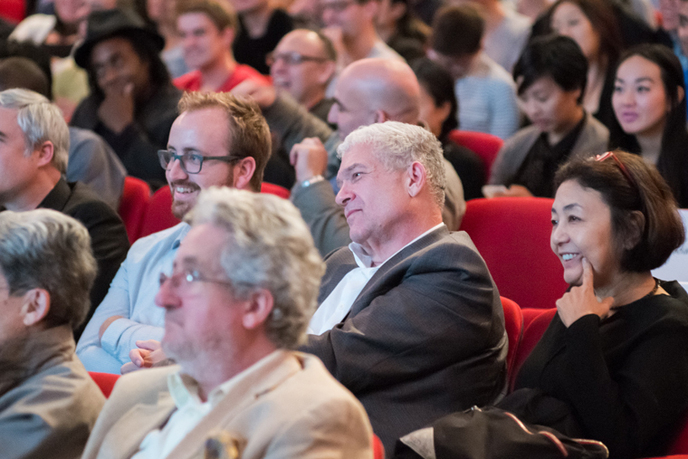 Sylvia Lavin is chair of the PhD in architecture program and professor of architectural history and theory at the University of Los Angeles, California, where she was chair of the Department of Architecture and Urban Design from 1996 to 2006. She writes frequently for Artforum and Log, and her most recent book is Kissing Architecture (Princeton University Press, 2011). Emmanuel Petit is an architect, writer, and teacher who is currently acting director of the PhD program at the Yale School of Architecture. His book, Irony, or, The Self-Critical Opacity of Postmodern Architecture, was published by Yale University Press this year. He has published with the JSAH, Thresholds, Log, and several journals in Europe. Sarah Whiting is a design principal of WW Architecture and the dean of Rice University's School of Architecture. She edits the Points series of books for Princeton University Press and is also a protagonist of Log. Frank Barkow is a partner in the Berlin firm Barkow Leibinger. Preston Scott Cohen is founder of his eponymous firm, based in Cambridge, Massachusetts. Neil M. Denari founded his eponymous firm in 1988. He works in Los Angeles. Kersten Geers is a partner of OFFICE, founded in 2002 in Brussels. Michael Meredith and Hilary Sample are partners of MOS, a New York-based firm founded in 2003. Umberto Napolitano is a partner of LAN (Local Architecture Network), founded in Paris in 2002. Freek Persyn is one of three partners with the Brussels firm 51N4E, founded in 1998. Jesse Reiser is a partner in Reiser + Umemoto, founded in 1986 in New York. Maria Alessandra Segantini and Carlo Cappai founded C+S architects in 1994. They are based in Treviso. Ben van Berkel is a partner in UNStudio, founded in 1988 and based in Amsterdam and Shanghai. Anyone Corporation, founded in 1990, is a nonprofit organization dedicated to advancing the knowledge and understanding of architecture and its relationships to general culture through international conferences, public seminars, and publications that erode boundaries between disciplines and cultures. 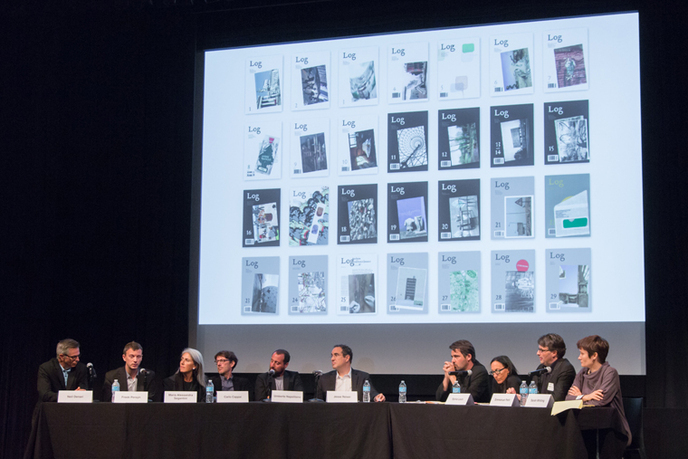 The organization's current program consists of two publishing projects: Log, a triannual journal of writing on architecture, and Writing Architecture, a series of small paperback books copublished with MIT Press.